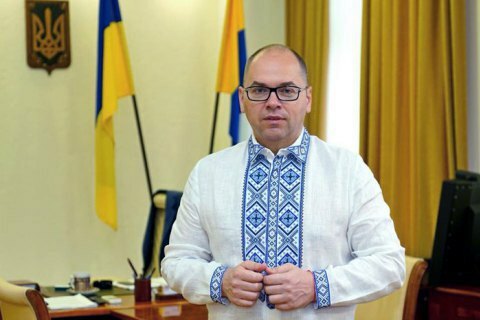 The Kherson governor resigned while Poroshenko wants the one in Odesa to go. The Cabinet of Ministers had approved the president's draft decree on the dismissal of the head of the Odesa regional state administration, Maksym Stepanov, Energy and Coal Industry Minister Ihor Nasalyk has told journalists. He also said that the government also approved the dismissal of another regional state administration head but did not name the name. According to Petro Poroshenko Bloc MP Oleksiy Honcharenko, the man in question is the head of the Kherson regional state administration, Andriy Hordyeyev, who had tendered his resignation. On 8 April, President Petro Poroshenko suspended the chairman of the Odesa regional state administration, Maksym Stepanov, and replaced him with Serhiy Parashchenko. Stepanov said that he had refused to resign at Poroshenko's request and considers his suspension illegitimate.